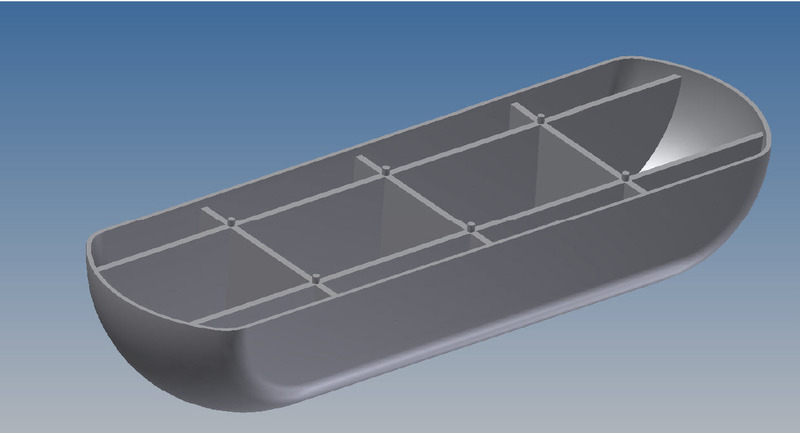 Inventor’s plastic part design tools simplify the creation of many types of features common to plastic parts. 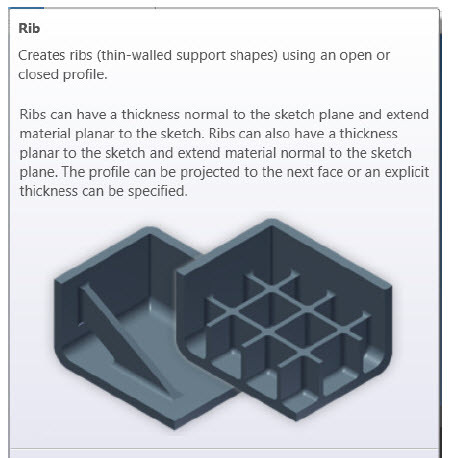 This tip will look at the Rib tool. 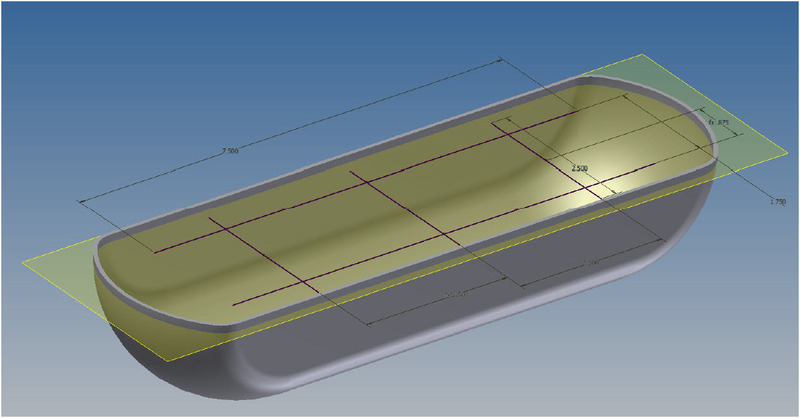 For this first example, a simple curved cover needs to have some stiffening ribs added. A sketch is placed on a work plane slightly recessed into the part. This sketch includes points added to the six intersections. These were added, then constrained to be coincidental to the sketch lines. This allows them to be used for bosses. These bosses are different from the dedicated Boss feature in that there aren’t any center holes in these bosses. Once these points are constrained they are very difficult to see in the sketch. Finish the sketch, start the Rib command, and select all the sketch objects. 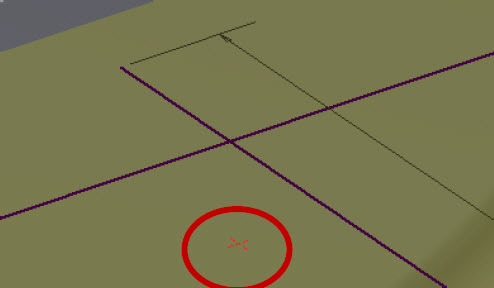 The choice for ‘Normal to Sketch Plane’ is only the choice that gives a solution preview. 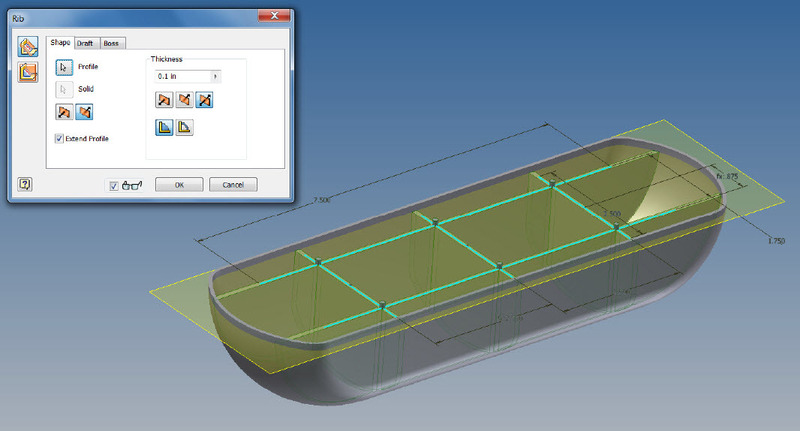 If the sketch lines were parallel, the ‘Parallel to Sketch Plane’ option would ‘give’ shelves in the work plane. 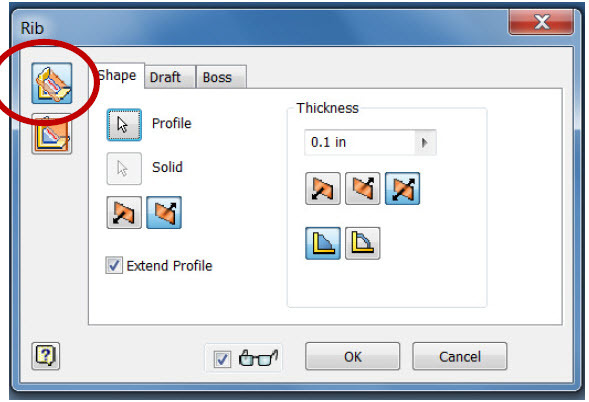 The Extend Profile option is also turned on, which extends the sketch lines to existing part faces. 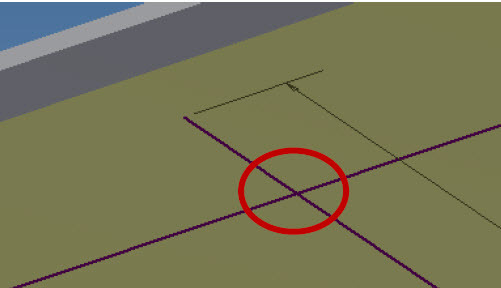 Other settings on the Shape tab control: how thick the rib will be, in which direction(s) the wall will be offset and if the wall extends all the way to the bottom of the part or is only a thin beam. 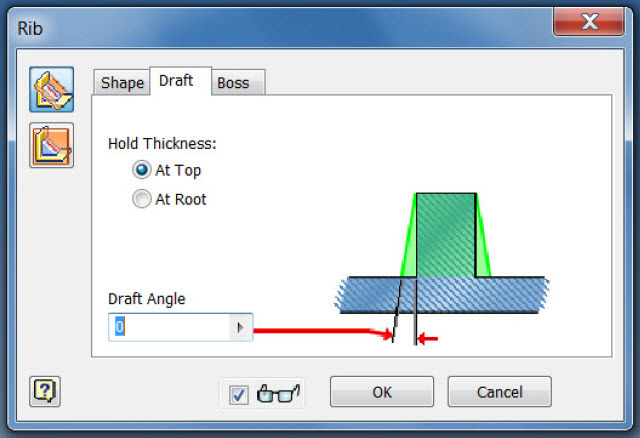 The Draft tab controls where the wall thickness is held to the specified value and how much draft is applied. The Boss tab allows points to be picked for centers of bosses. The Offset value is the height that the boss extends above the rib. Note: If the points aren’t constrained to be coincidental to the rib’s sketch lines they aren’t available for creating rib bosses. I hope this helps you design more efficiently. Any other features or design workflow giving you problems? Let us know or search this blog for what you need.